We are an experienced and respected provider of flexible finance for business and general aviation and a wide range of leisure and commercial vessels. We are a specialist division of Close Brothers, a leading merchant banking group. With a combined track record spanning more than 50 years, our dedicated Aviation and Marine team have a wealth of experience in financing new and pre-owned aircraft, commercial vessels and leisure boats. We are passionate about what we do and our customers value our long term experience as well as our personal, consistent approach throughout the business cycle. Our success is built on the long term relationships we have with our customers, underpinned by the knowledge and expertise of our specialist aviation and marine team." Established in 1976, we have more than 40 years’ experience helping our customers meet their aviation finance needs. Our in-depth knowledge means we consistently deliver a quality and efficient service. We focus on developing long term relationships, working with our customers to understand their unique requirements in order to build bespoke finance solutions that meet their needs. Our aim is to make the process of buying an aircraft or boat as fast and easy as possible. Our professional approach is designed to achieve this whilst minimising risks along the way. We can help you raise finance using your existing aircraft or boat as security. 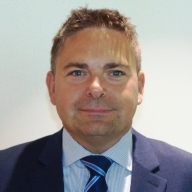 With 30 years’ experience in Asset Finance and banking, Andy has an in-depth knowledge of aviation and marine financing solutions for both corporate and personal clients. Andy’s high standards ensure clients of Close Brothers Aviation and Marine consistently receive the best quality service available. 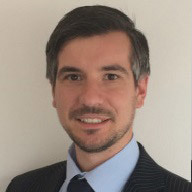 Dominic has more than ten years’ experience in Asset Finance and has been with Close Brothers since 2013. He specialises in assisting private and commercial clients to finance or refinance aviation and marine assets. Dominic has built many long lasting, successful relationships with customers within the aviation and marine industries. 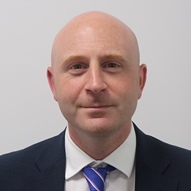 James has significant experience in the Marine sector, having spent nearly two decades funding leisure and commercial vessels, both at home and abroad, for a wide range of clients. James' experience and passion for the marine sector will enable Close Brothers Aviation and Marine to continue to provide real expertise and value-added service. 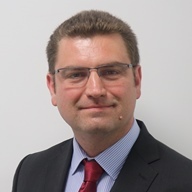 Ian has more than 13 years’ experience in the Aviation sector, spanning both sides of the industry from a supplier perspective in addition to finance. Ian’s considerable experience for the aviation sector will enable us to continue to provide real expertise and value-added service to our clients, partners and the wider aviation industry. The above rates are updated on this site monthly but can change daily. To find out the actual rates that will apply, please contact our team.